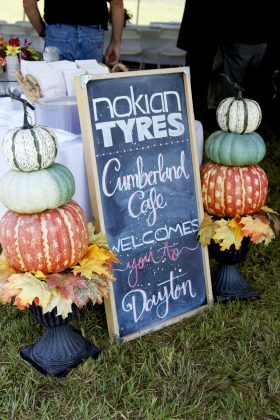 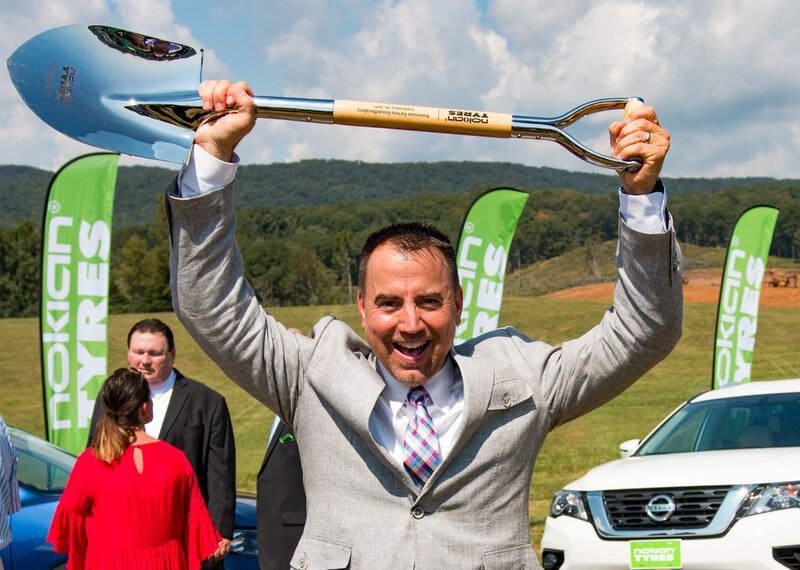 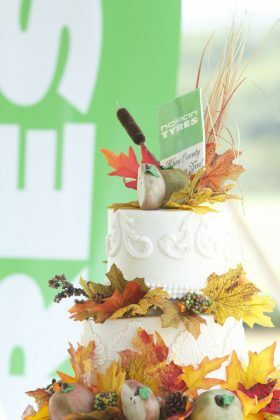 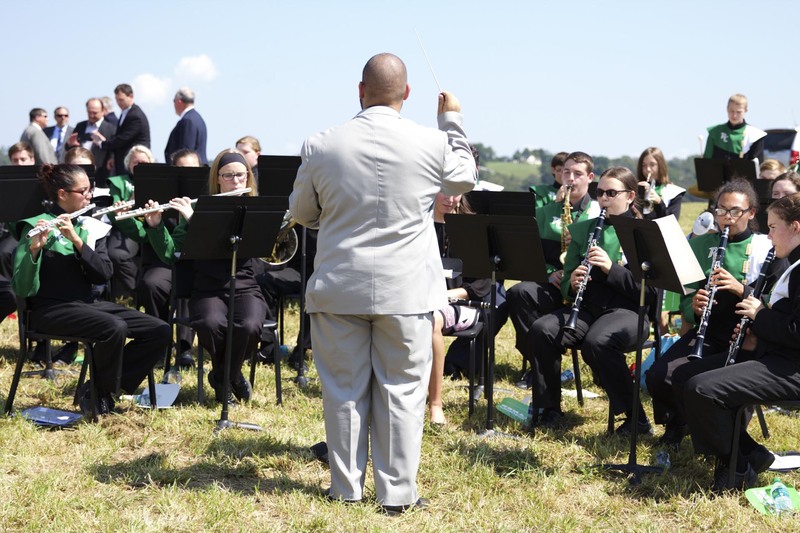 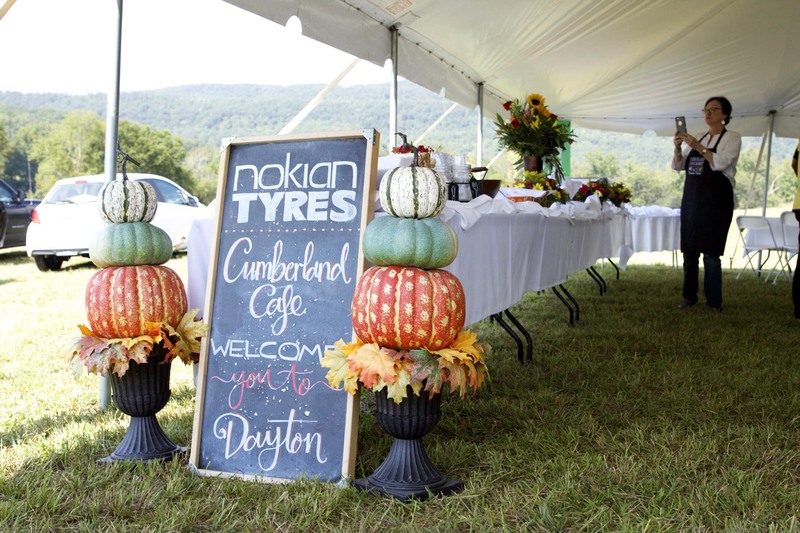 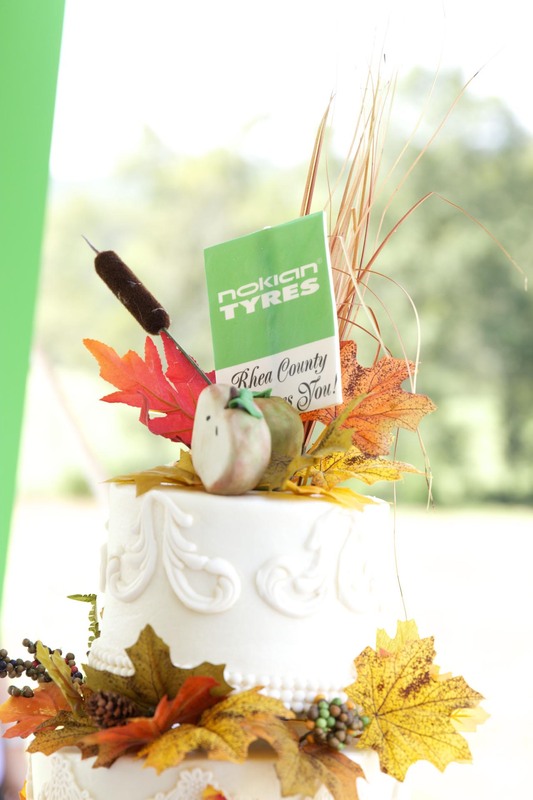 Dayton, Tennessee – It was a monumental day in the history of Rhea County as Nokian Tyres ceremoniously broke ground at their first North American site. 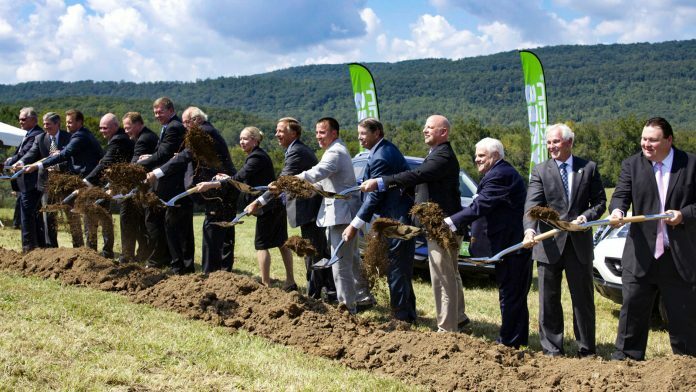 The company will produce the world’s best passenger, SUV, and light truck tires in Rhea County as early as 2020. 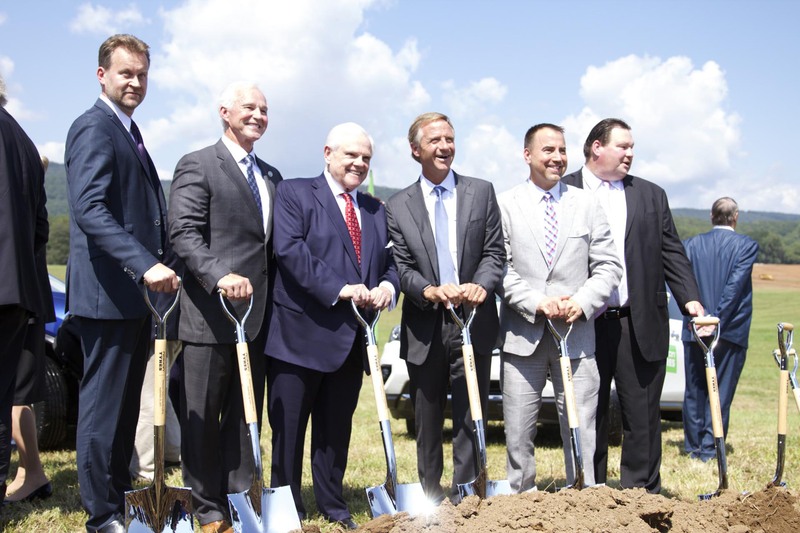 Over 400 high-skilled workers will be employed in the most advanced tire manufacturing facility in the world. 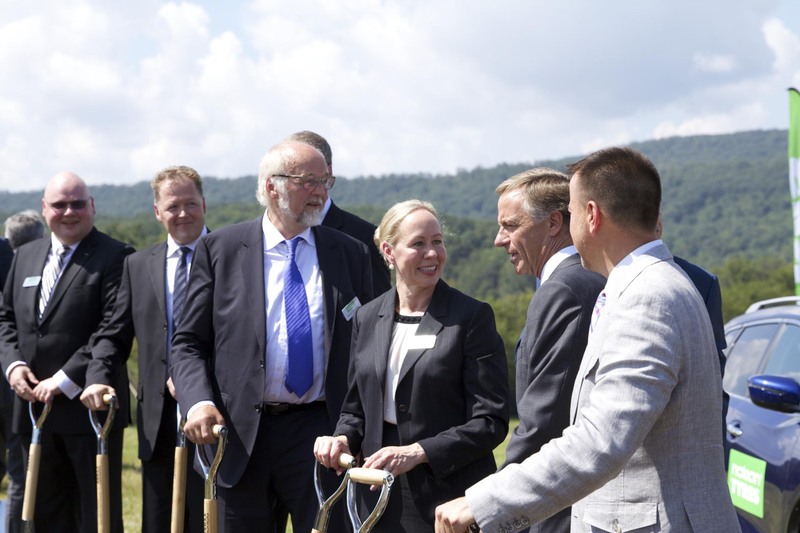 With heavy machinery already moving dirt in the distance, the Nokian Tyres leadership team joined state and community officials to celebrate the momentous event on the beautiful rolling hills of north Dayton. 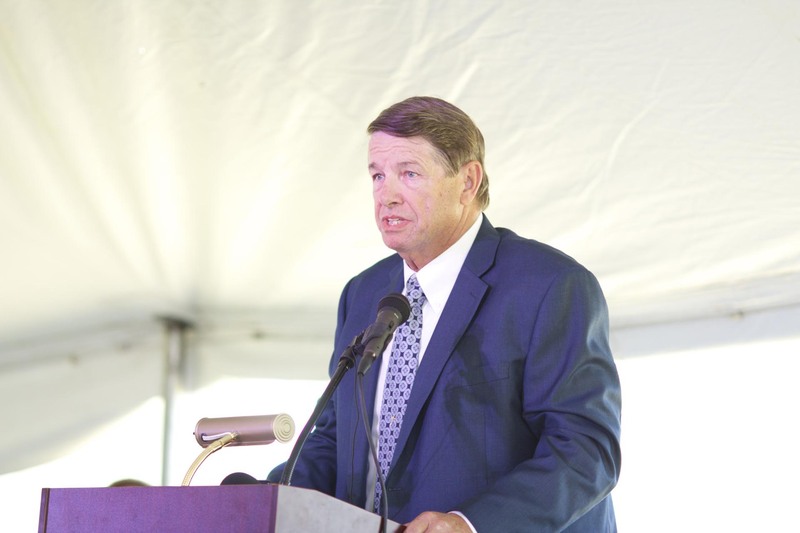 “We are not only investing in the factory. 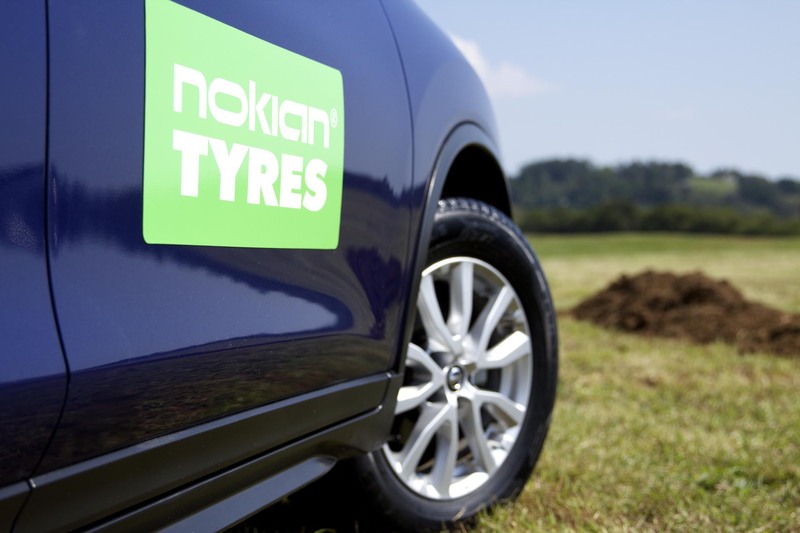 We are investing in the people”, stated Nokian Tyres President and CEO, Hille Korhonen. 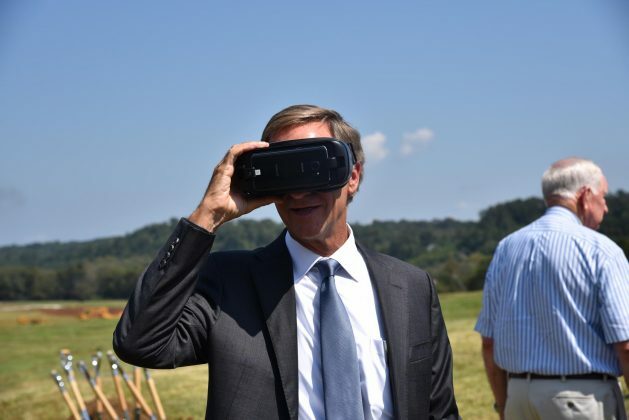 Governor Bill Haslam, who had a personal hand in the project, said the significance could not be understated. “This is a really big deal for Rhea County. It’s also a really big deal for the state of Tennessee,” stated Governor Haslam to the scores of people at the ceremony. 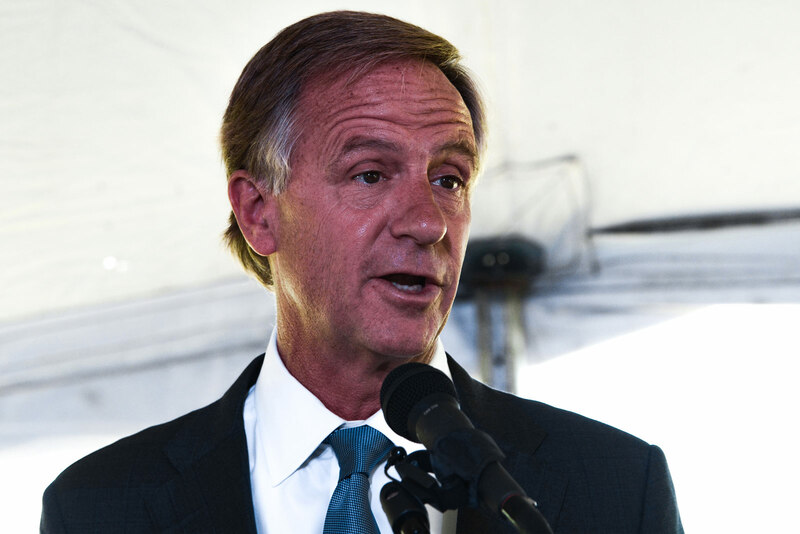 Haslam also noted the 360 million dollar investment is the largest direct foreign investment in the history of Rhea County. 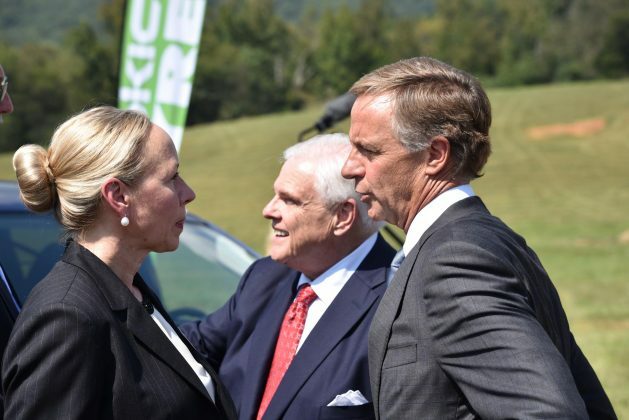 “They could have located a lot of places, and the fact that they chose Rhea County says a lot about the local leadership here in Rhea County as well as what we believe will be the quality of the workforce,” added Haslam. 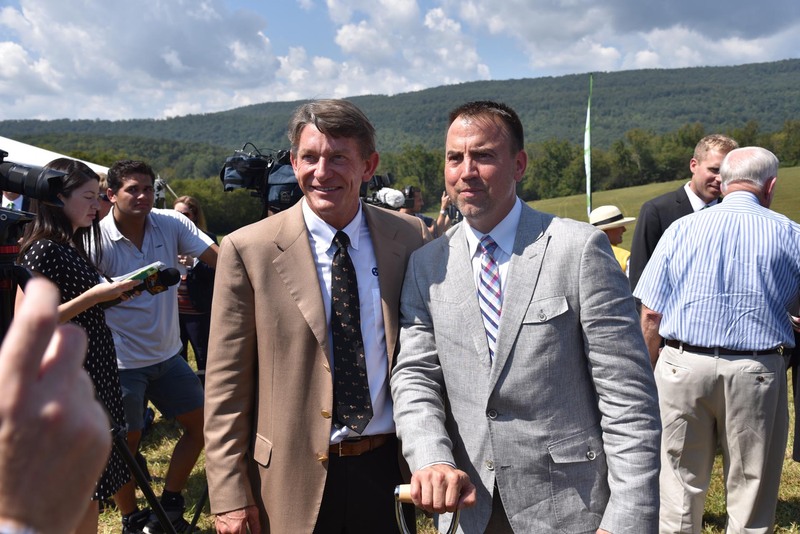 The governor championed Rhea County legislators, State Representative Ron Travis and State Senator Ken Yager for their help passing the “Approve Act”, a major component. 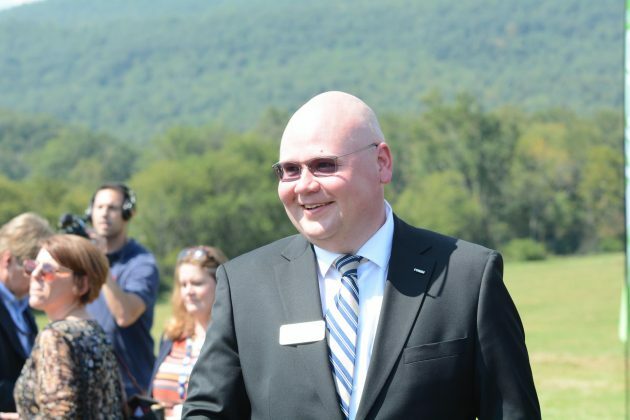 Louallen credited a “great local team that works hard”, adding, “It was the personal touch that made the difference.” Louallen not only serves as Dayton’s mayor, but also as chairman of the Rhea County Economic & Tourism Council. RECD Director Dennis Tumlin who led local efforts from the inception of creating a large rail tract dubbed “Rail Hub South”, to ensuring Rhea County edged ahead of other states during the highly competitive site selection process. 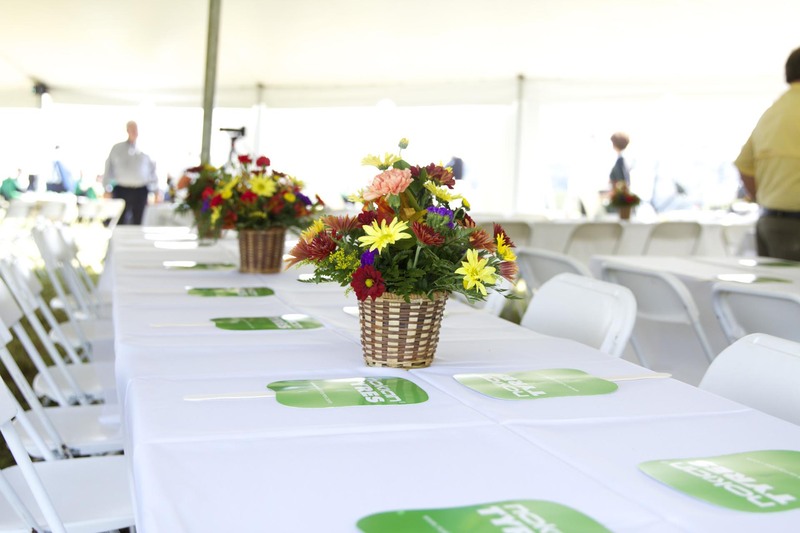 As master of ceremonies, Tumlin praised local and state partners who had a hand in the project. 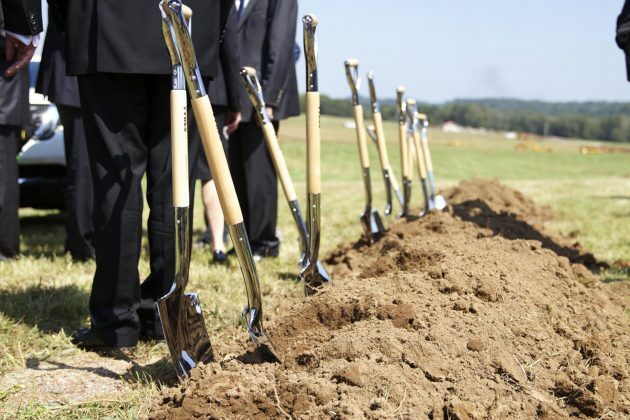 “Your fingerprints are all over this project. 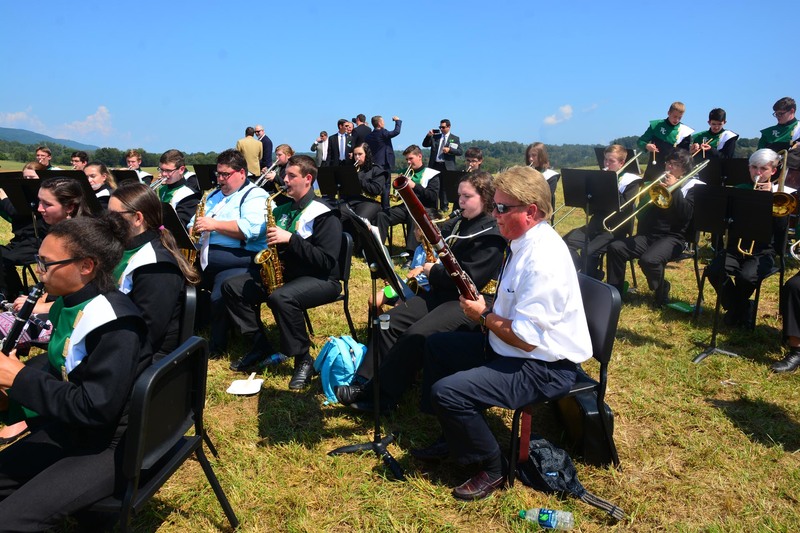 Rhea County is forever changed because of your hard work,” stated Tumlin. 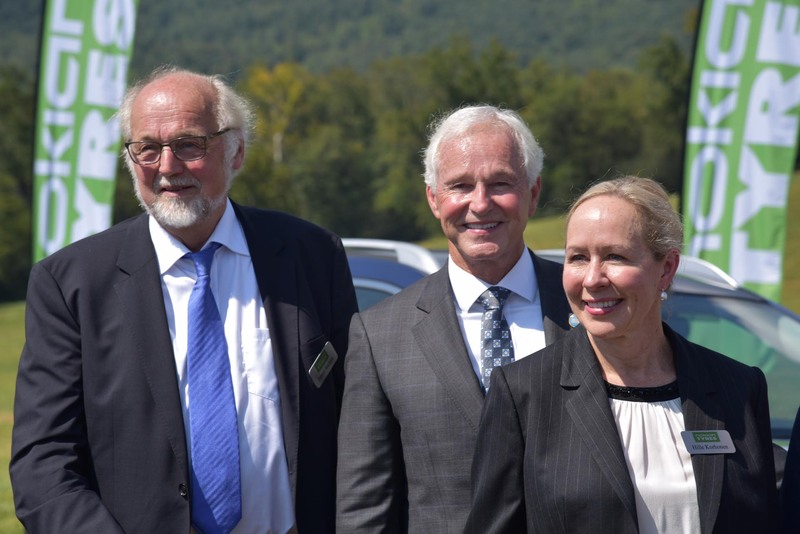 Tumlin raised a steel chain to symbolize the importance of individuals as part of the team effort in making the project a reality. 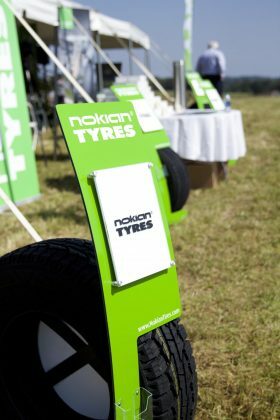 The analogy is much akin to what Nokian Tyres calls the “Hakkapeliitta Spirit” which is always believing the impossible, is possible. This spirit can be found at the core of the company’s culture and believed to be the very source of their success. Nokian Tyres has received countless accolades and currently sells their brand in over 60 countries. The Dayton plant will become their their third manufacturing facility. They are headquartered in Nokia, Finland, home to their first production plant. 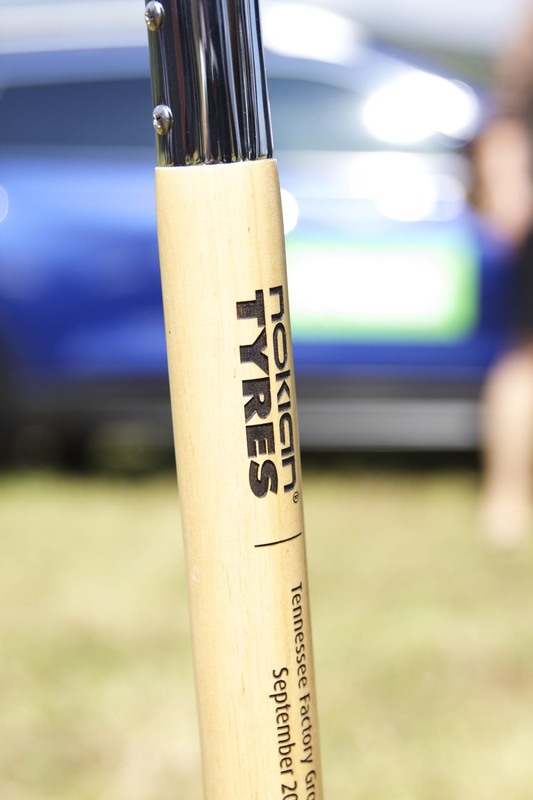 Their second production plant is located in Vsevolozhsk, Russia. 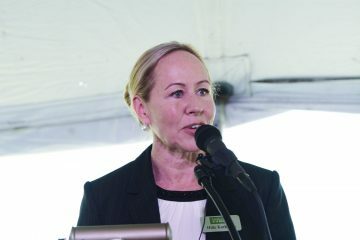 The company aims to capitalize on the advantages of having a plant in the U.S., as they seek to gain exposure in North American markets. 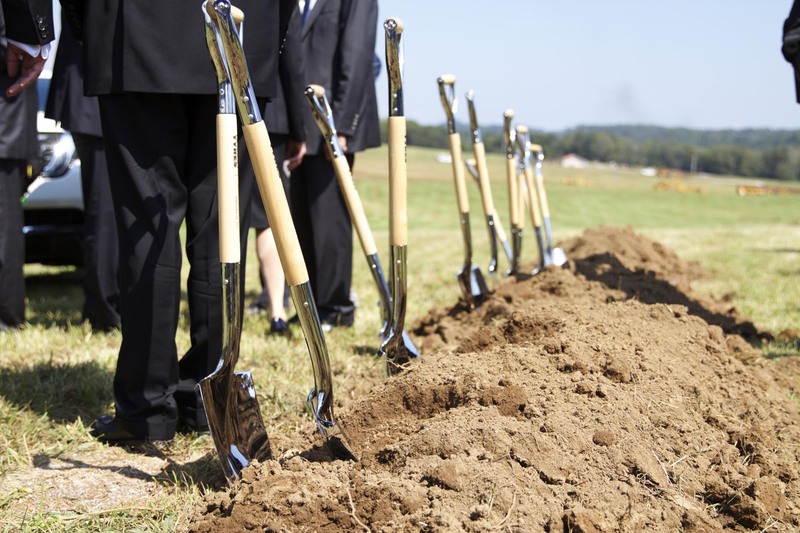 One marked advantage will be the ability to quickly respond to market trends offering faster delivery to customers. 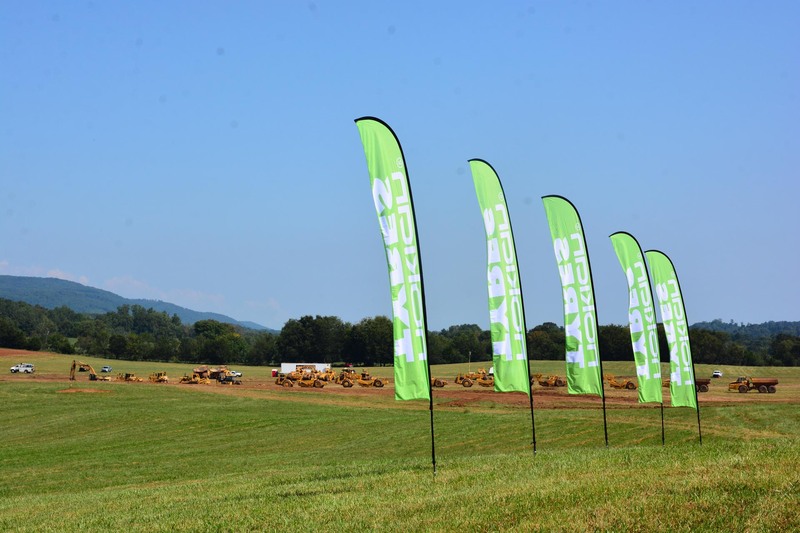 The company is also excited to add “Made in the U.S.A.” as an additional selling point for North American customers. 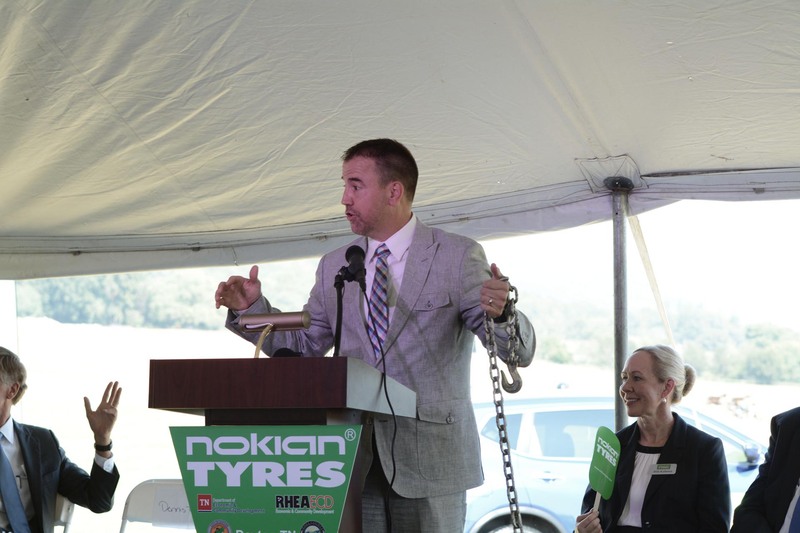 Nokian Tyres will produce over 4 million tires annually at the Dayton facility. 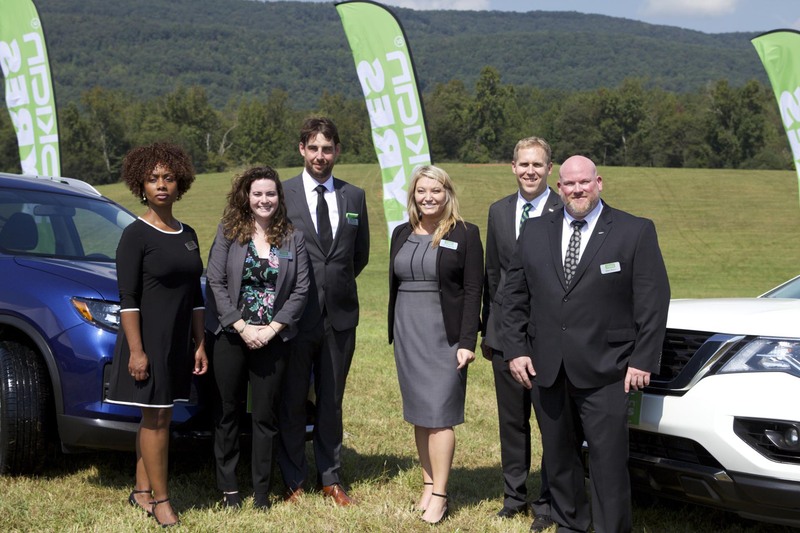 If you have the “Hakkapeliitta Spirit”, you could be one of the many employees to help the company make their mark in North America.